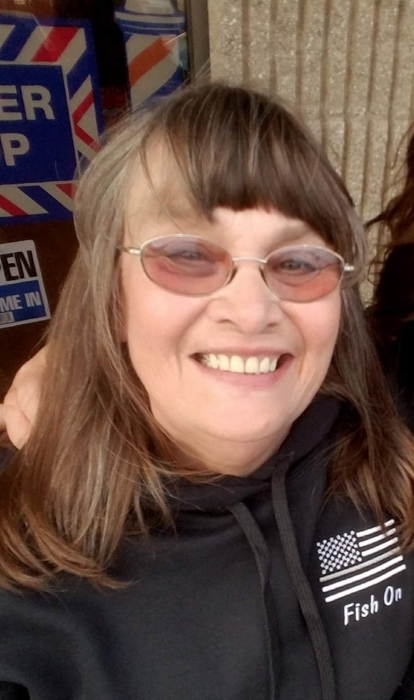 Virginia "Gini" Fine, 66, of Baker City, Oregon, died Tuesday, December 4, 2018 surrounded by her family and friends. A Celebration of life will be held Saturday, December 8, 2018~1 p.m. at the Baker City Christian Church (675 Hwy. 7). Friends are invited to join the family for a potluck (please bring your favorite dish) reception to be held immediately following the service at the church. Gini was born on February 15, 1952 in Portland, Oregon to parents Ovey and Georgia Brown. She was raised in Bend, Oregon and graduated from Bend Senior High School in 1970. Gini married Allan Fine Sr. June 29, 1981 in Klamath Falls, Oregon. They had 2 children together. After raising her family, Gini worked as a caregiver for 16 years. It was natural fit for her because she loved helping others. Gini’s favorite hobbies included skiing, hunting, fishing, singing, gardening, cooking, painting and spending time with her kids and grandkids. She was proud of raising a large family that dearly loved and respected her. Gini’s life philosophy was to live life to the fullest, love with all your heart, and always stand up for what you believe in. A treasured Bible verse that meant a lot to Gini was Psalms 23. Gini was preceded in death by her husband Alan Fine. She is survived by her son Allan and Daughter Dawn Fine both of Baker City; Granddaughters Celeena, Jordynn, Briannah, and Katrienna Fine, Emma, Eunie and Molly Knapp; Furbabies Buddy, Shadow, Abby and Ray; and many close friends.